It's All About the Duke is the next Regency romance in The Rakes of St. James series from Amelia Grey. 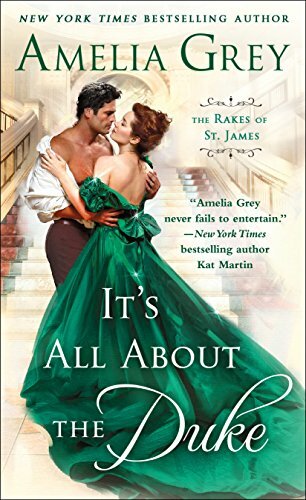 Amelia Grey is a new author to me, so I didn't know what to expect. What I hadn't realised was this is the third book in the Rakes of St James. I found you can read this book as a standalone, there was enough of a back story without thinking what had gone on in the previous books. At some point we've all had a friend were a prank was played on them and for whatever reason you've thought I will get that person back. For me this is a no, but for Marlena she has done this...but then the tables get turned on her and she very nearly looses the one she loves. I enjoyed reading this book, its a troupe that I have read before and I will go back and read the first two books. I did like the humour, which for me is a big plus. There was one character that got on my nerves that was Justine, for me she was a little over the top. 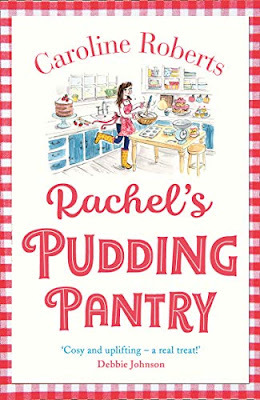 I will give this book 4/5 stars, this book is on pre-order at Amazon UK and is realised on 29th May.